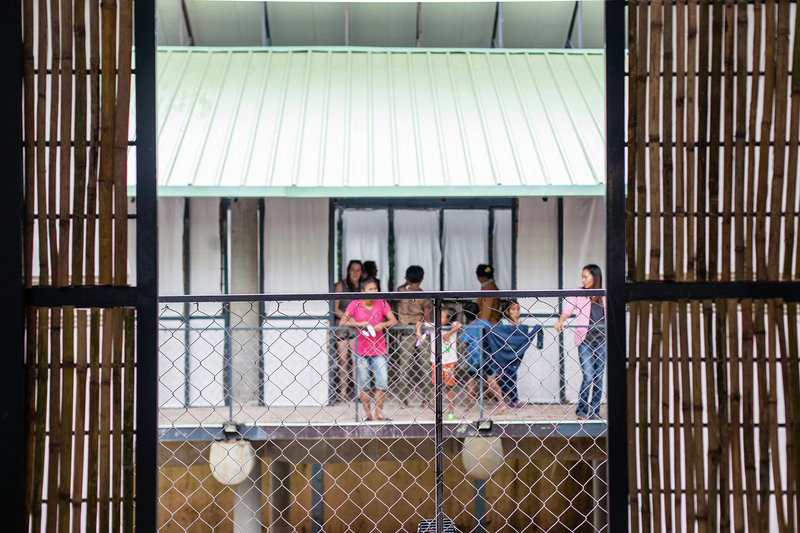 The Bomnong L’Or (Goodwill) center is located in the very busy center of the port city of Sihanoukville, Cambodia, behind its equally very busy market. 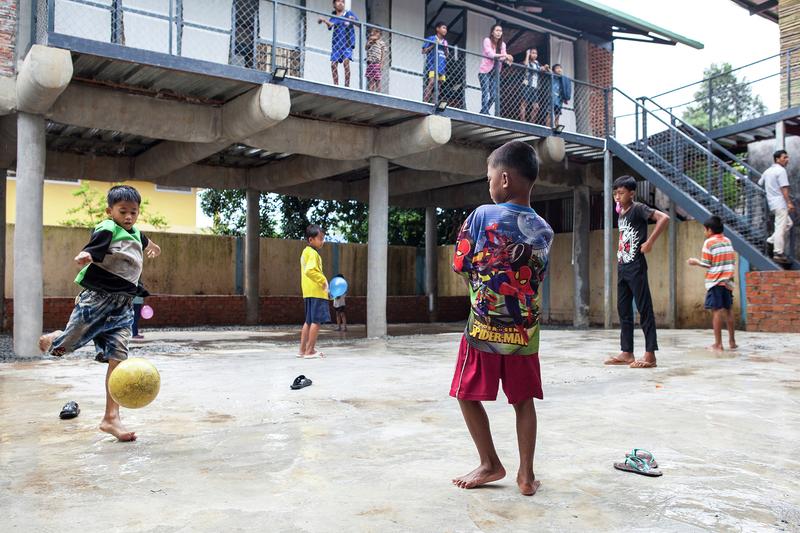 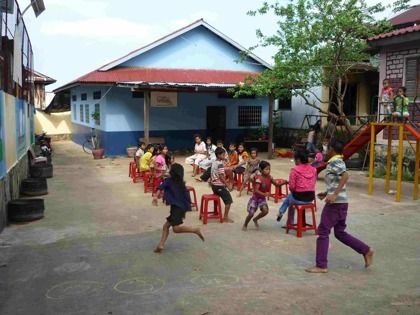 The center, which was set up by an indigenous NGO Help the Cambodian Children, has worked, for over a decade, to deliver further education to local children and adults, as well as functioning as a community meeting and work space. 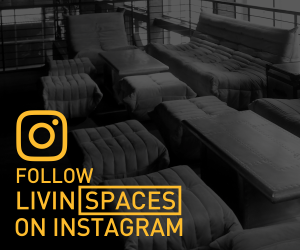 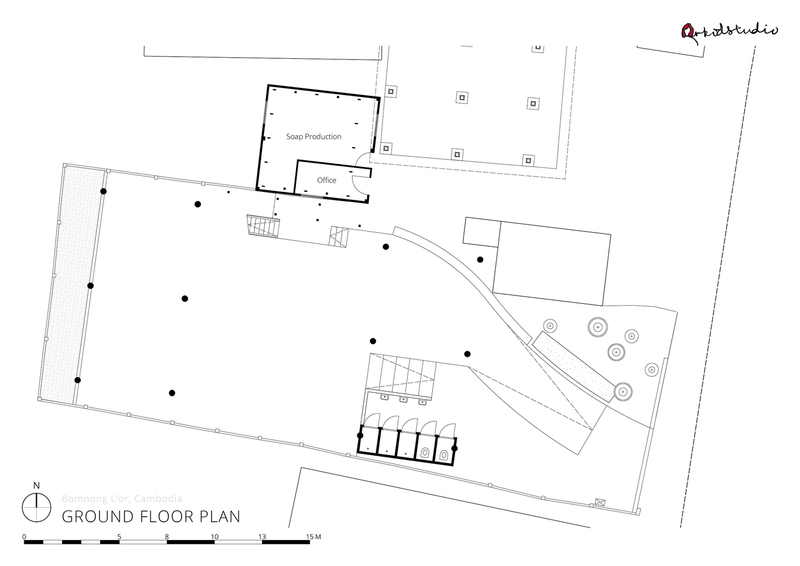 With so many users, the original structure was awkward and uninviting; its central position reduced the space for children to play and offered poorly ventilated and dimly lit rooms. 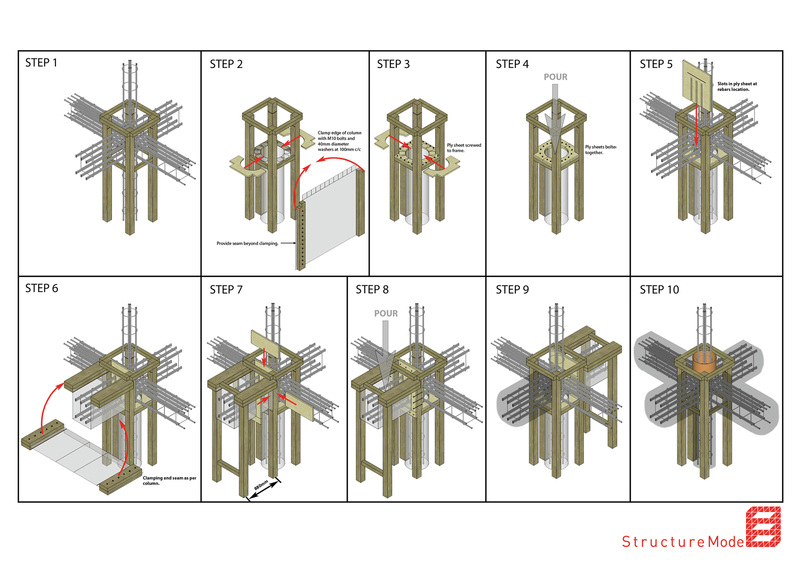 It struggled to function effectively and as such sorely needed a redesign. 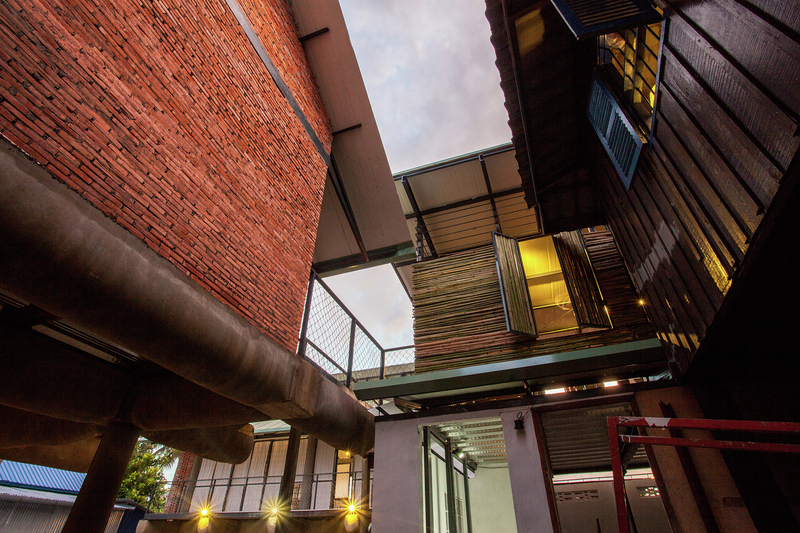 This is where OrkidStudio came in. 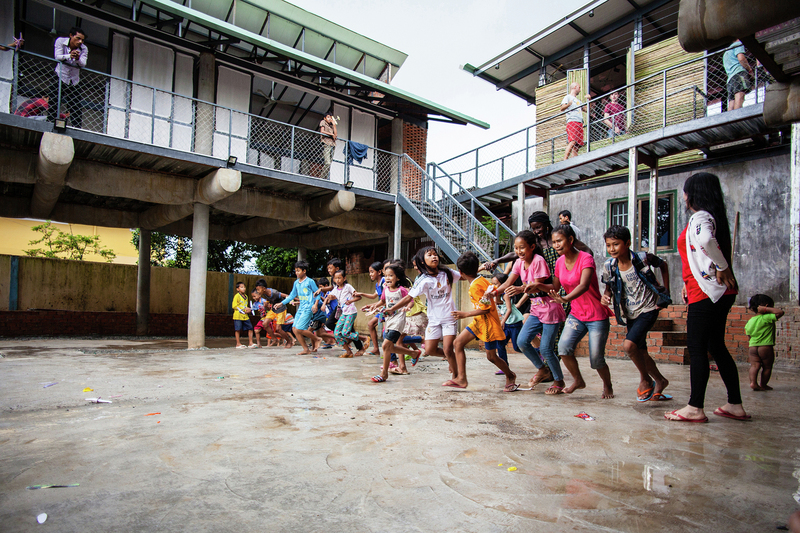 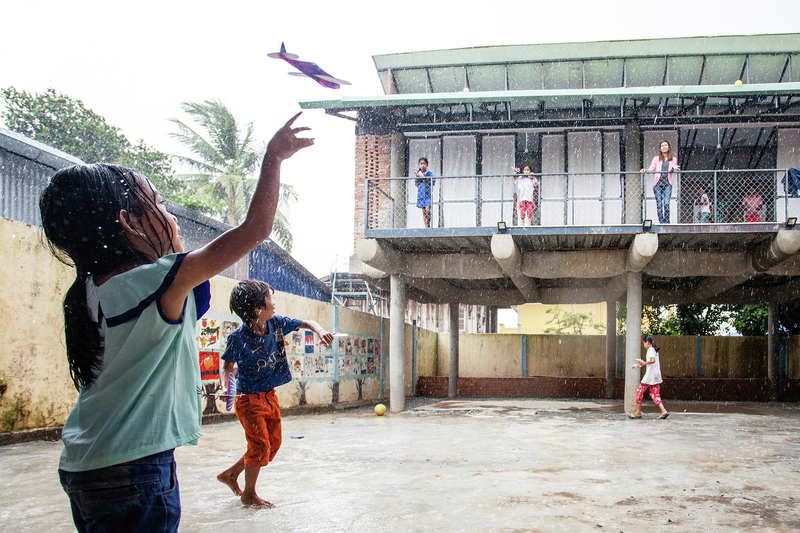 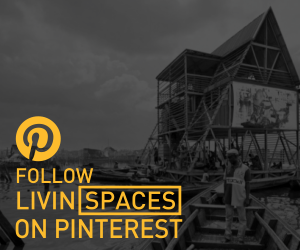 They are a UK- based humanitarian design organisation whose focus is to benefit children and communities worldwide through innovative architecture and construction. 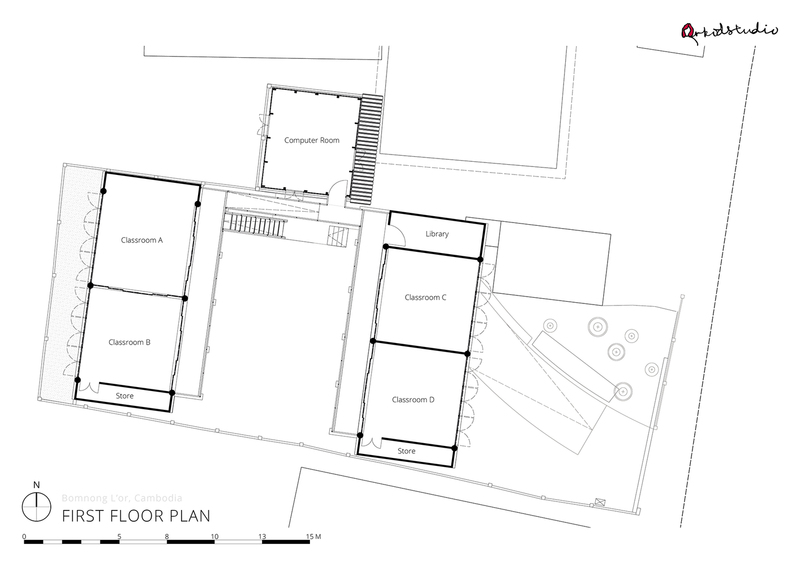 They designed a new building which lifts all learning and teaching spaces immediately up to first floor level, clearing the full site area. 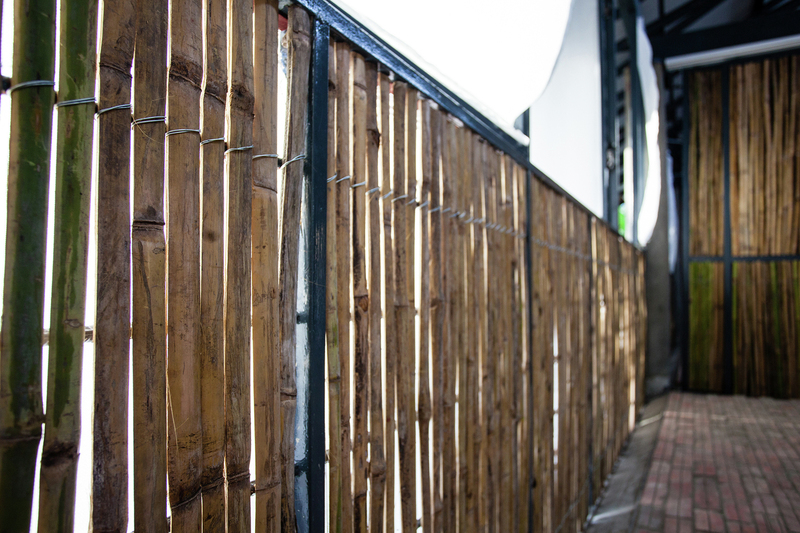 This leaves a series of outdoor spaces for play and interaction. 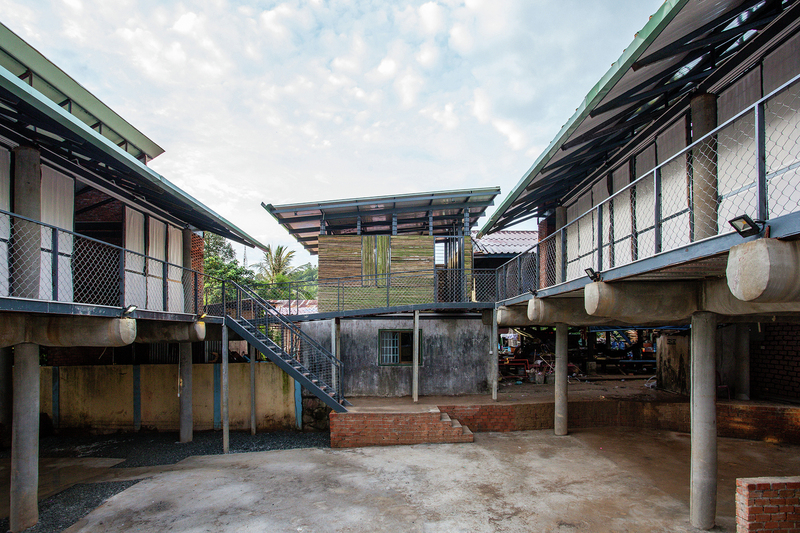 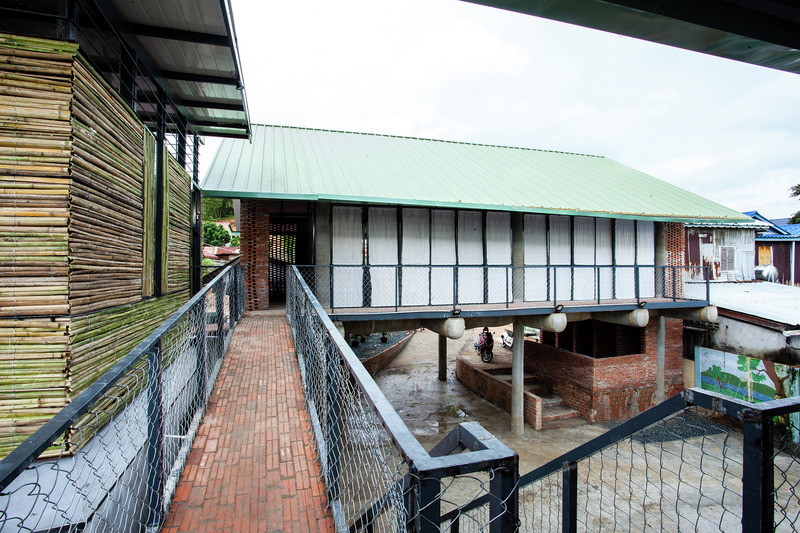 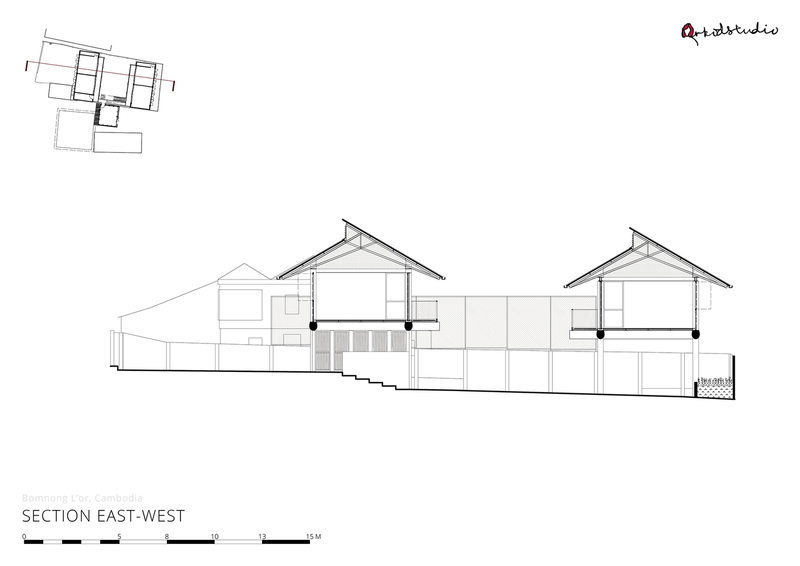 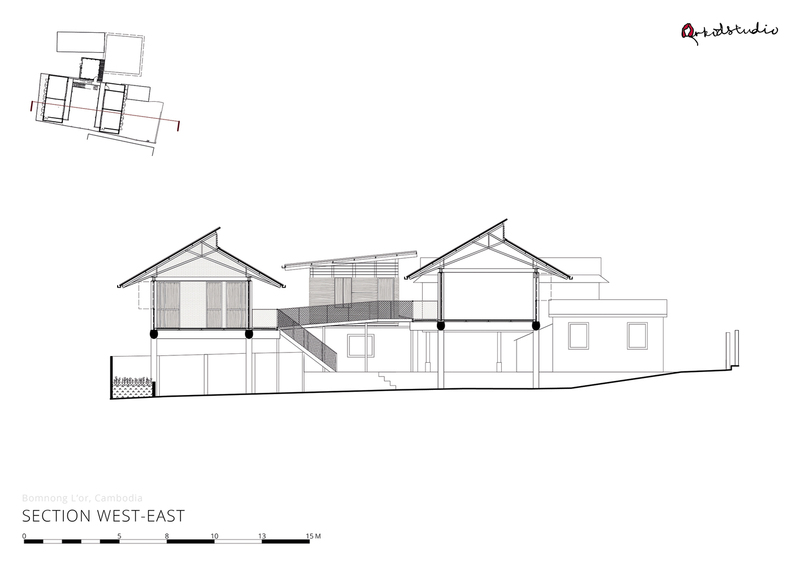 The typology mimics the traditional local Khmer houses on stilts, but as opposed to timber which cannot be sustainably sourced locally due to deforestation, they sought to use concrete, in a most innovative fashion. 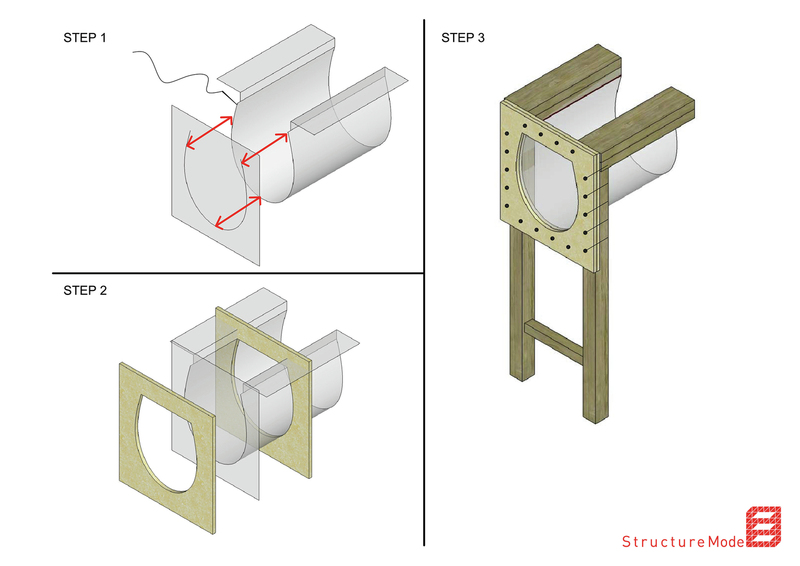 Their method saw the use of lightweight fabric moulds for the casting of concrete. 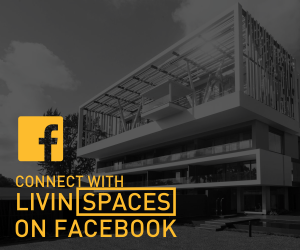 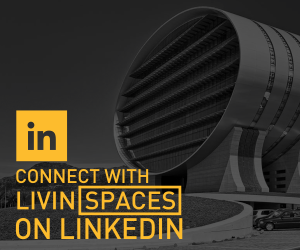 This idea was developed by both the architects of Orkidstudio along with the engineers of UK-based StructureMode. 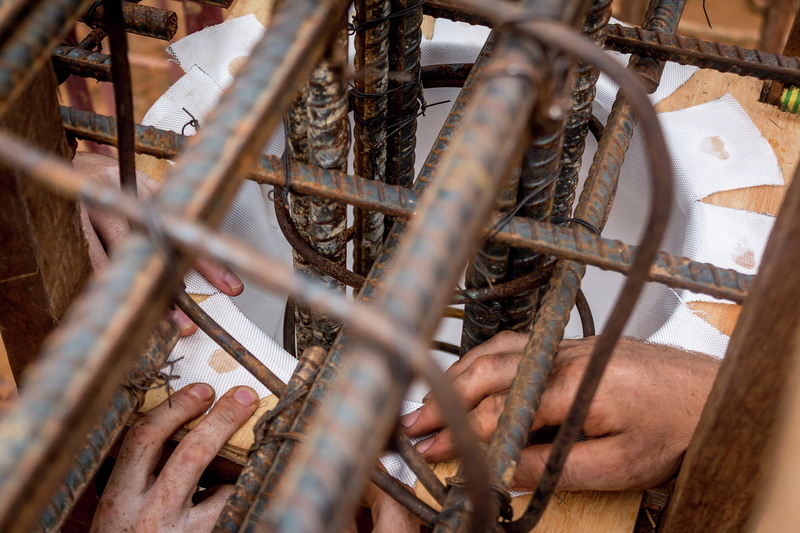 Using a combination of physical testing and computer analysis software, they were able to predict the stretch of a particular fabric when concrete is poured inside. 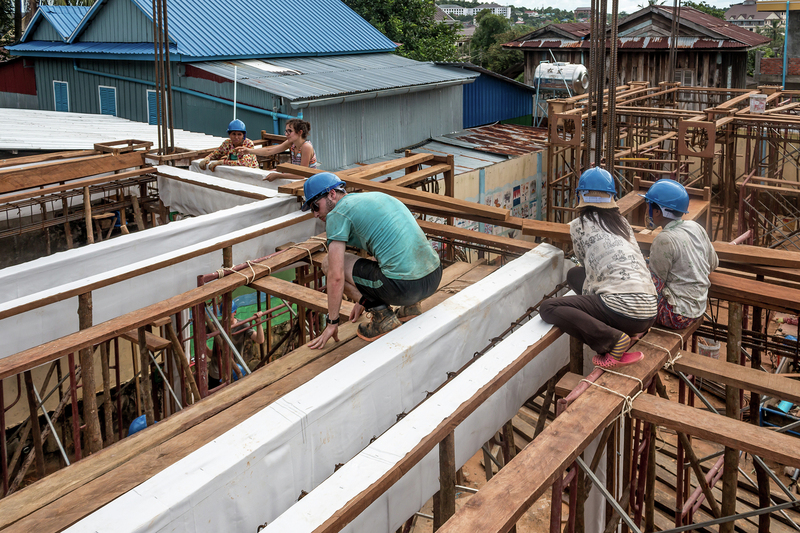 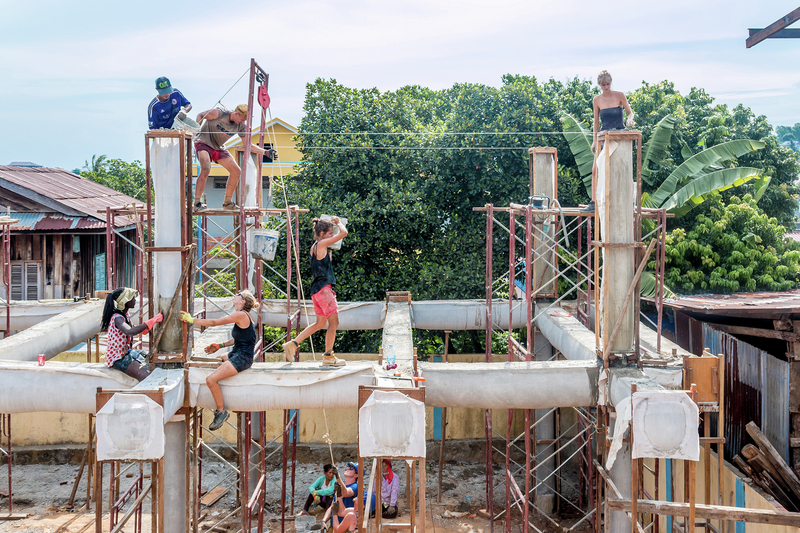 They teamed up with a group of Khmer seamstresses, providing them with three-dimensional sketches of the fabric in the construction sequence and with that they were able to cut and stitch a durable geo-textile that served as the project’s formwork for concrete. 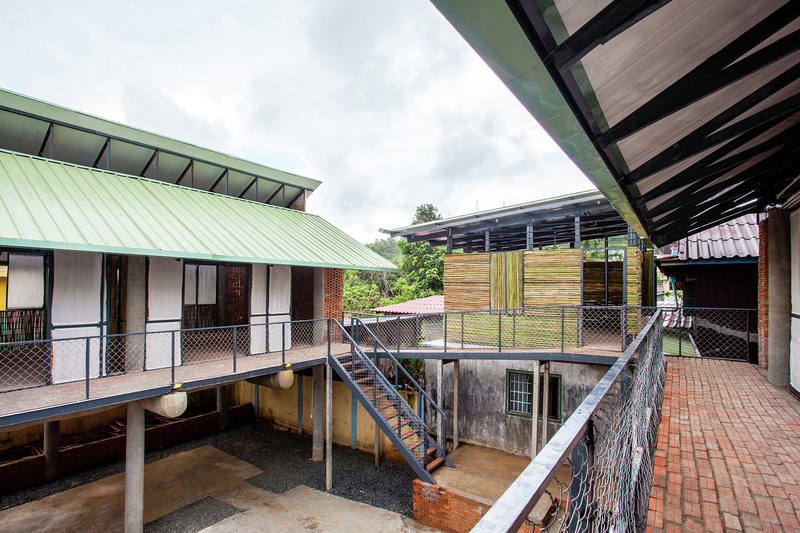 Now, the Bomnong L’Or center includes four large teaching spaces, a computer room, administrative and service spaces, and a colourful soap-production room. 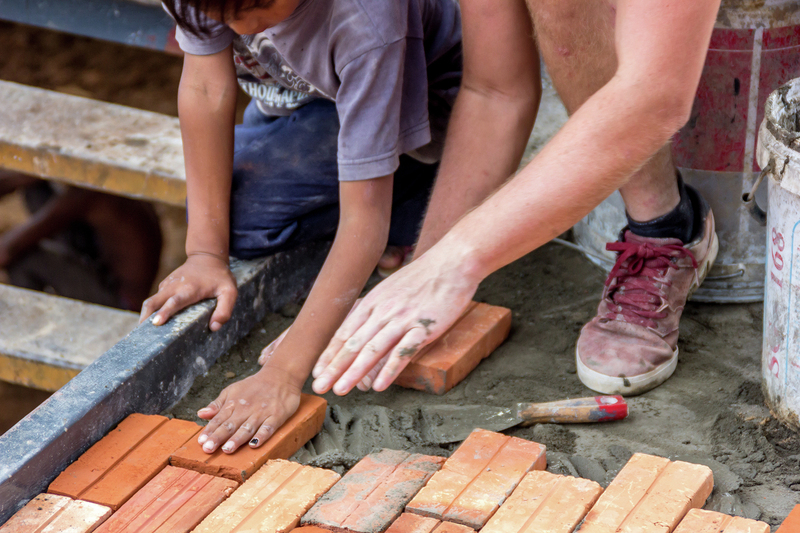 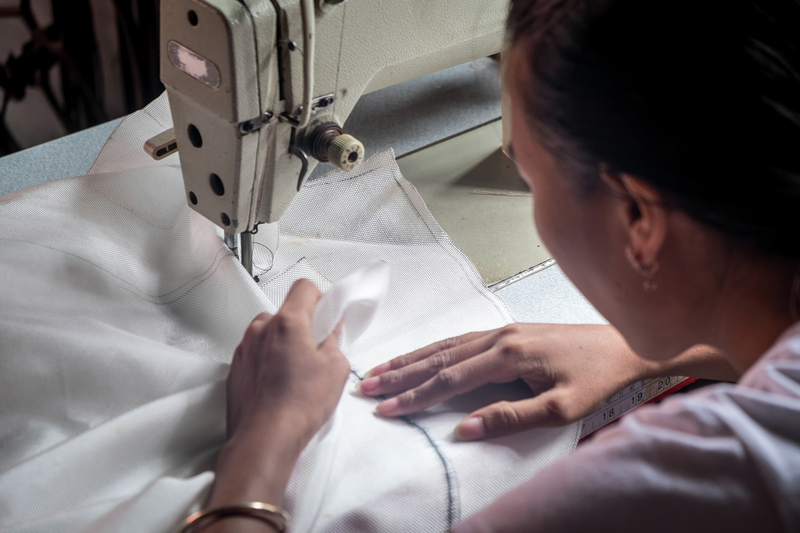 In order to encourage local families to send their children to the center, rather than force them to work, the facility provides women with the opportunity to learn a new skill and generate income. 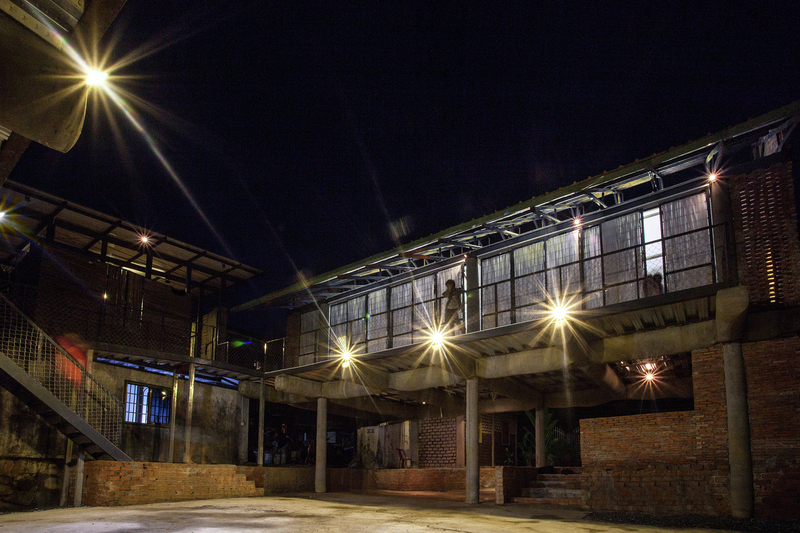 The building is oriented to harness the seasonal winds that rush inland off the Gulf of Thailand, in addition to having large eaves designed to avoid excessive sunlight. 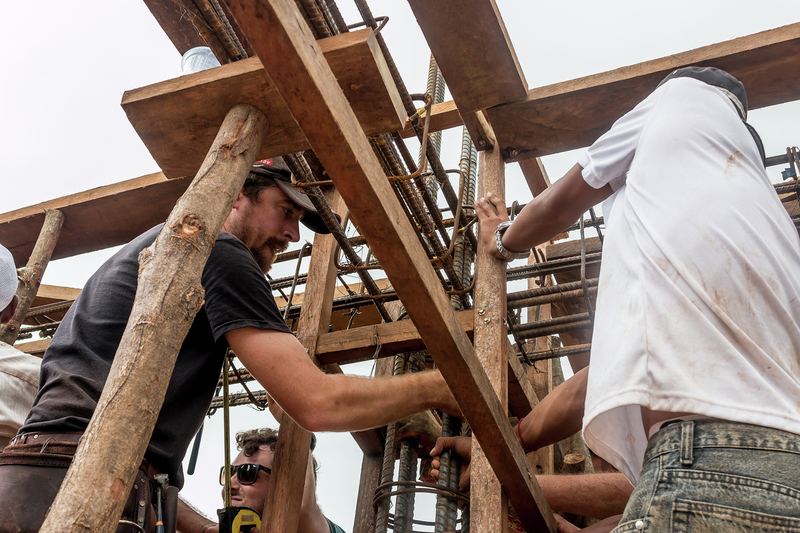 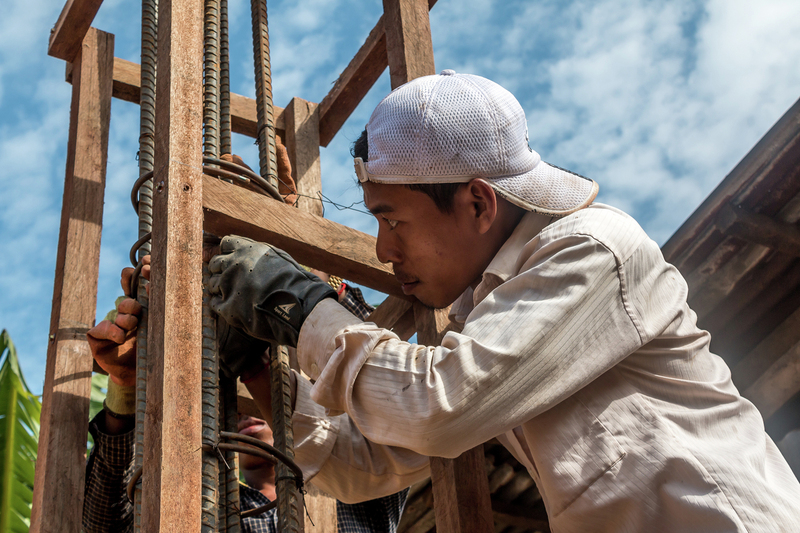 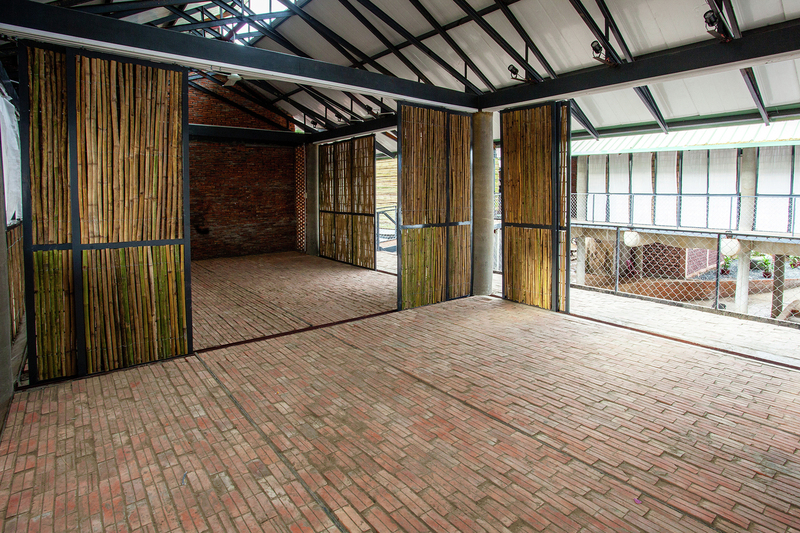 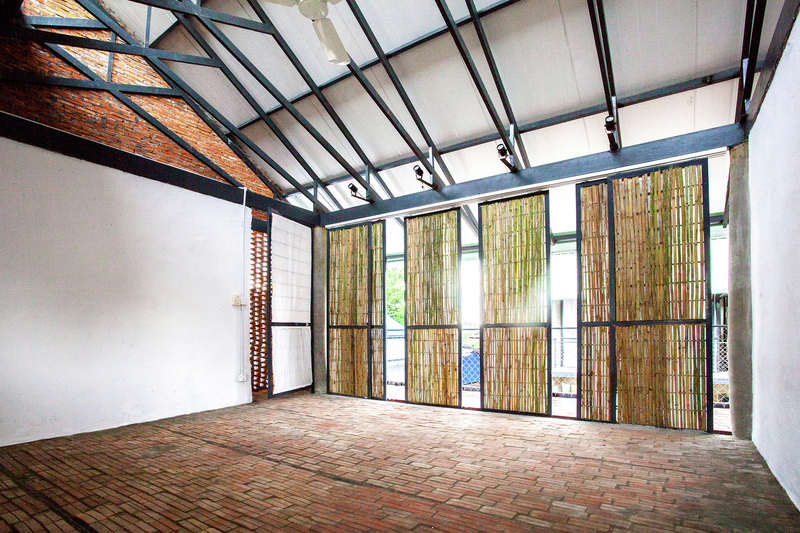 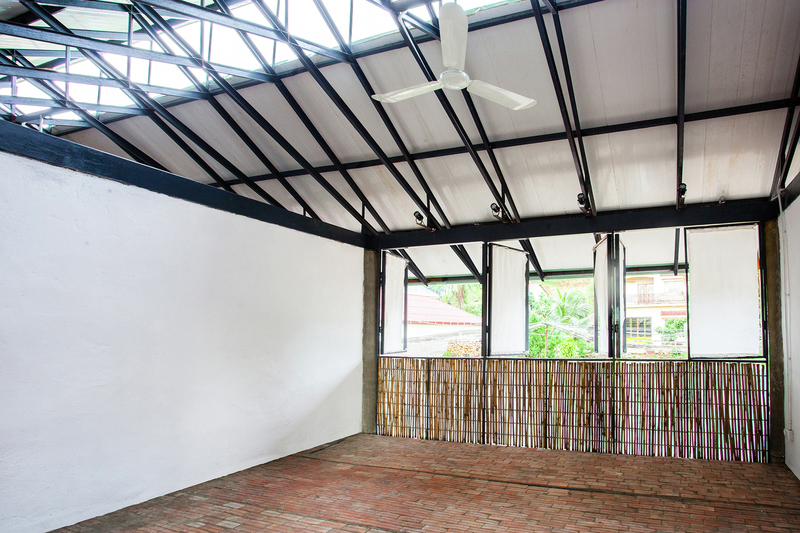 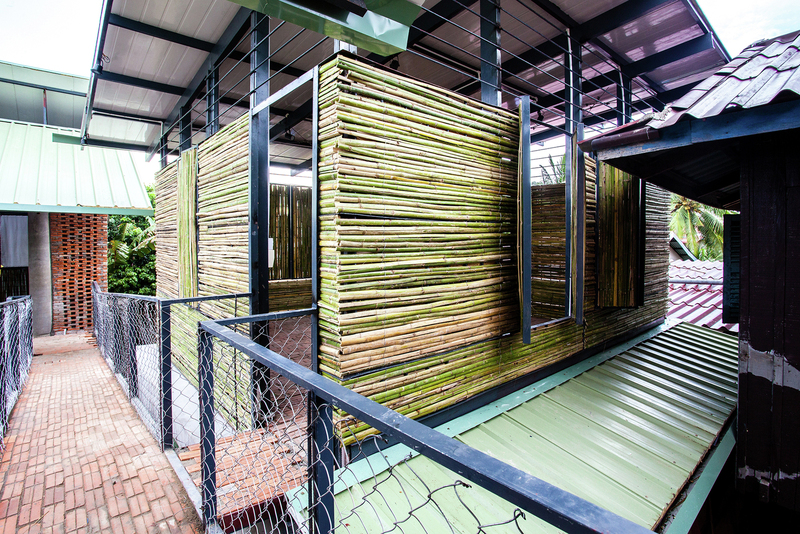 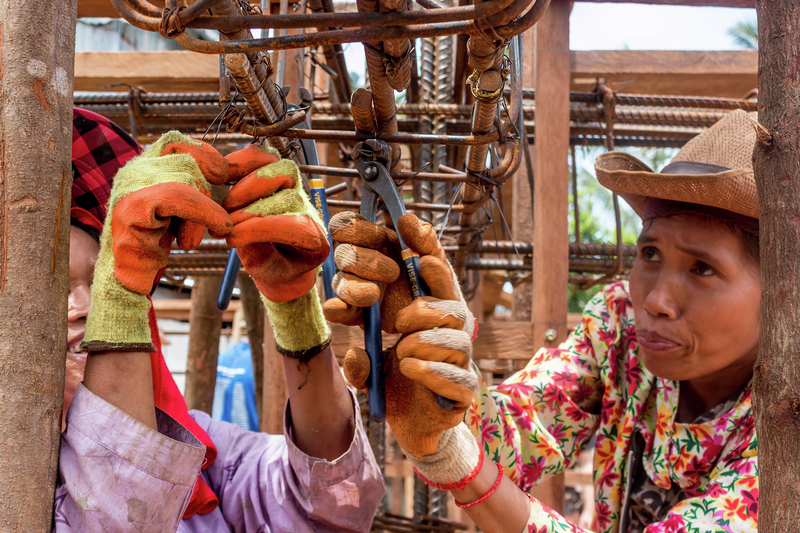 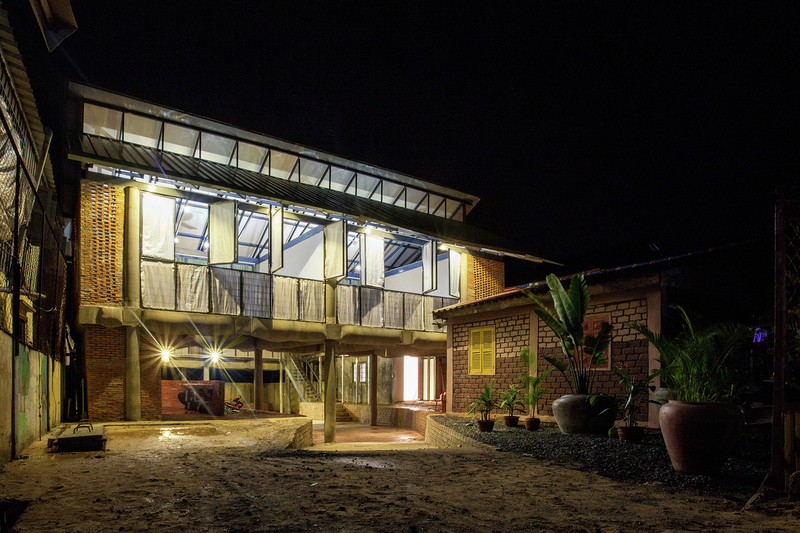 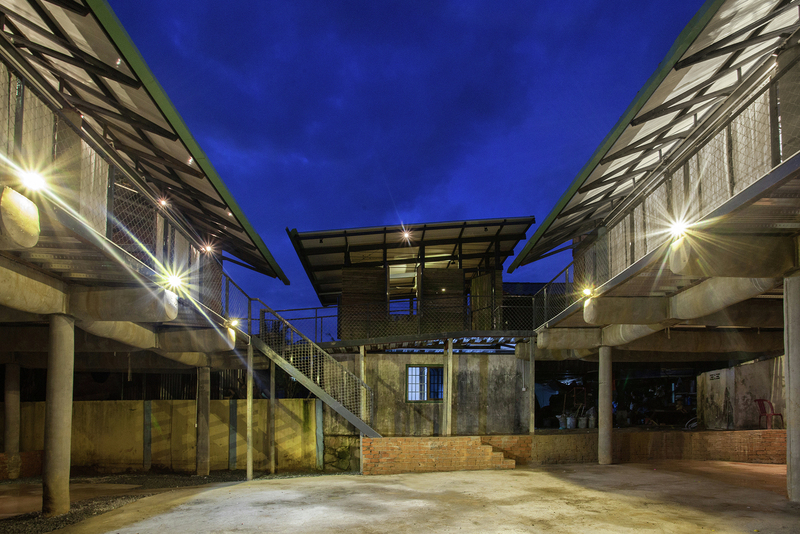 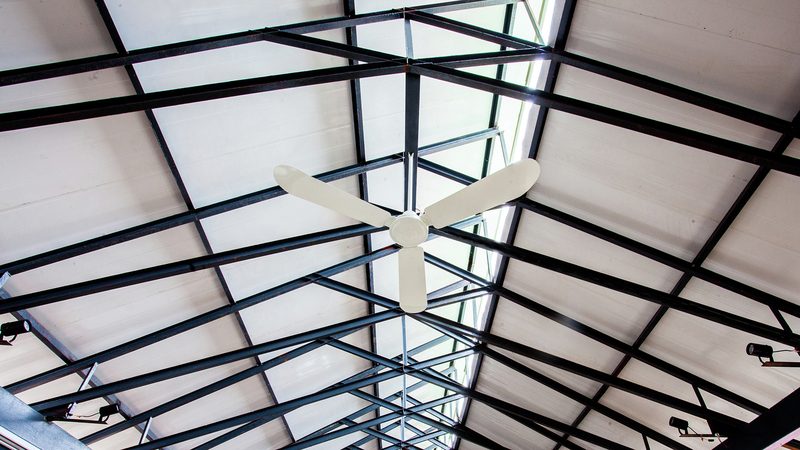 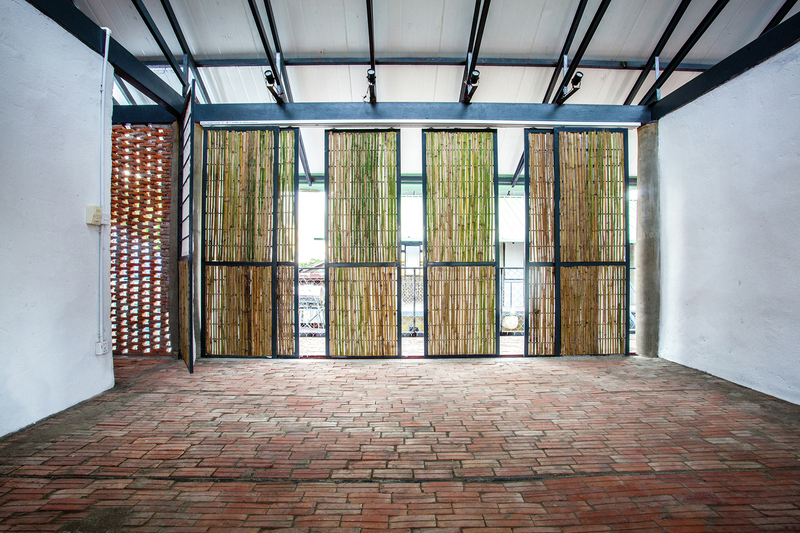 Adopting a completely passive climate strategy, the Bomnong L’Or center seeks to present an example of affordable design and quality, combining traditional and modern techniques and seeking to establish a new type of Cambodian construction. 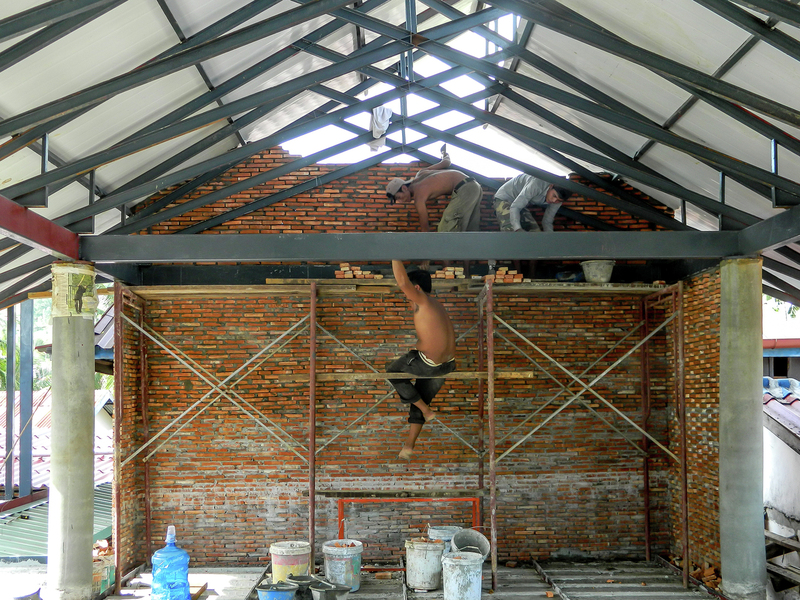 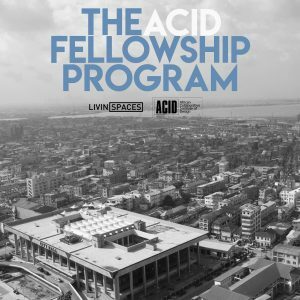 Heres a link to a blog detailing the day to day happenings of the project as experienced by a member of OrkidStudio, as well as another blog which takes a look at how the center functions today.